Chandigarh is the city of people with big hearts so it is reasonable for these people to celebrate every festival in a grand manner. 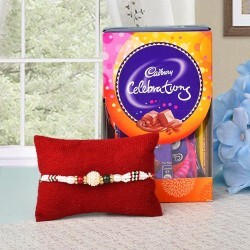 Send Rakhi to Chandigarh along with some amazing Gifts and make this Raksha Bandhan exciting. Make this festival the best memory for your Brothers and Sisters with Rakhis and Gifts from MyFlowerTree. Ask anyone and they will tell you that their favourite City is Chandigarh and why not? This is the city of people with the biggest hearts. One of the cleanest cities of India, people living in Chandigarh knows exactly how to bring in a festival. 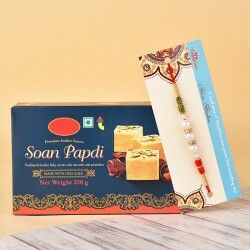 If you want to wish your Brother or Sister living in Chandigarh on this Raksha Bandhan, you can do that with our beautiful Rakhis and special gifts. 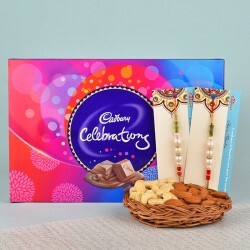 Send rakhi gift to Chandigarh without any trouble with us. Give these already amazing people another reason to cheer with our special Gift Hampers and Rakhis. Celebrating Raksha Bandhan without a Rakhi is impossible. A sister ties a Rakhi on the wrist of her Brother on this day and the Brother promises to protect her against everything. 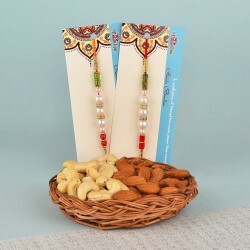 We understand that as a Sister you want the most unique for her Brother, that is why, we have a collection of special Silver Rakhi, Kundan Rakhi. 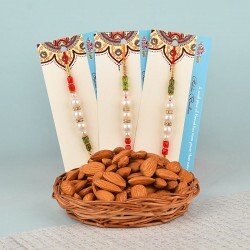 Pearl Rakhi, Silver Rakhi Bracelet and more, we have everything that you need. We also have Traditional Rakhis with motifs of Peacock, Elephant, Ganesha and Flowers on them. These are colourful and auspicious. 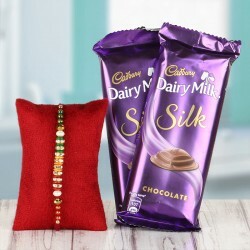 You can make this Raksha Bandhan memorable for your sibling by sending a special Gift to them along with a beautiful Rakhi and what gift could be better than Flowers? Take a look at our Flower and Rakhi combos and you would want to order them all for your Brother. Our collection has beauties like Roses, Carnations, Gerberas, Lilies, Orchids and Birds of Paradise which are available in colours like Red, Pink, Purple, Yellow, Orange, Blue and White. All these Flowers are arranged beautifully in special Bunches, Bouquets and other arrangements. On this Raksha Bandhan, cut a Cake and celebrate this festival. 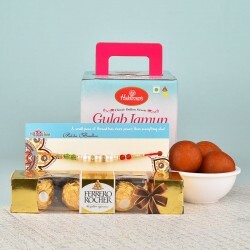 Our Cake and Rakhi combos are perfect for this festival. 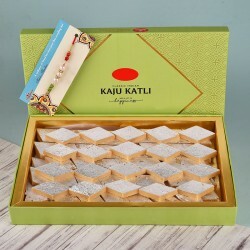 Our Cake collection has flavours like Black Forest, Chocolate, Pineapple, Vanilla, Strawberry, Chocolate Truffle, Butterscotch, Mango and various other exotic Flavours like Kiwi, Mixed Fruits, Coffee, Caramel, KitKat, Coffee, Hazelnut, Gems, Oreo, Cheesecake, Ferrero Rocher, Marble which you can team them up with a wonderful Rakhi for Brother. Not only Flowers and Cakes, we also have Raksha Bandhan special Mugs and Cushions, personal grooming products, Dry Fruits, Traditional Sweets, Chocolates, jewellery, Greeting Cards, Clutches and Pooja ki Thali which can be sent to the Brothers and Sisters in Chandigarh. If you live in a different city than Chandigarh, you can send gifts to your siblings by availing our online delivery services. We deliver in Mumbai, Delhi, Kolkata, Puducherry, Bihar, Goa, Gujarat, Himachal Pradesh, Madhya Pradesh, Kochi, Orissa, Jaipur, Chennai, Kerala, Tamil Nadu, Assam, Rajasthan, Jaipur and many other places. We also deliver across the border to various other countries. 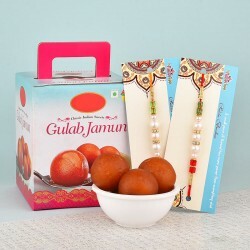 Send your Raksha Bandhan gifts to Australia, South Africa, Germany, France, London, Dubai, Bangkok, Malaysia, Sri Lanka, China, Japan, Qatar, Nepal, Croatia and all the other major foreign countries.